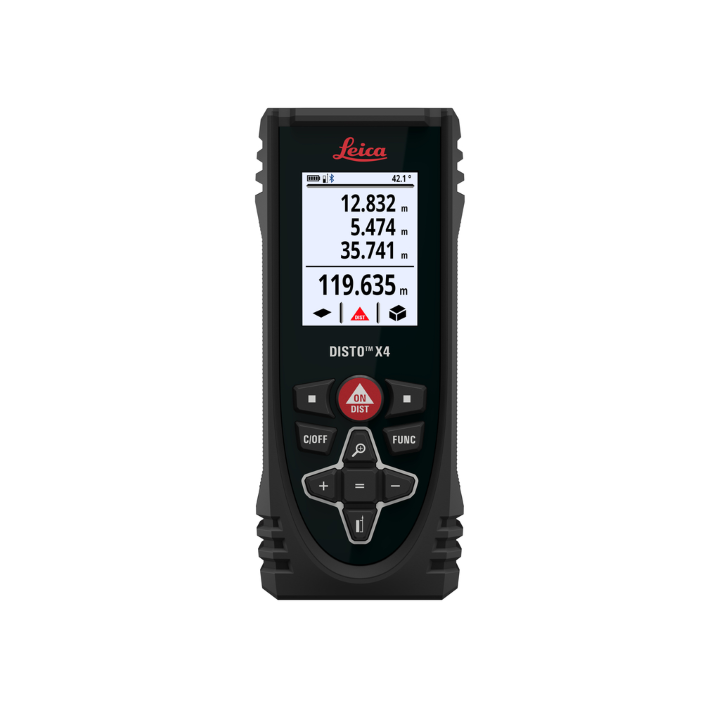 The Leica Disto X4 Laser Distance Meter is an easy-to-use device designed for outdoor measuring jobs by combining distance measurement innovation with robustness. 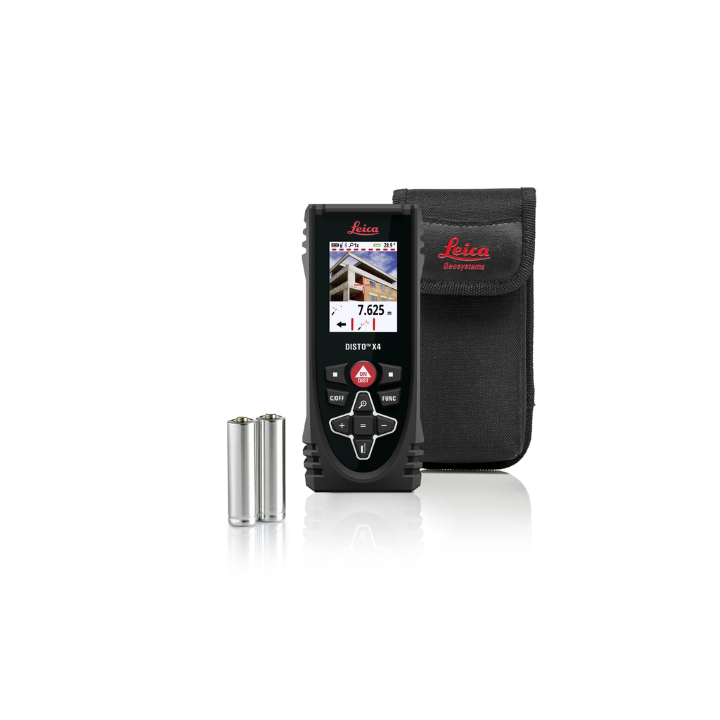 It features a Pointfinder camera that allows easy and precise long-distance measurements objects in bright sunlight. 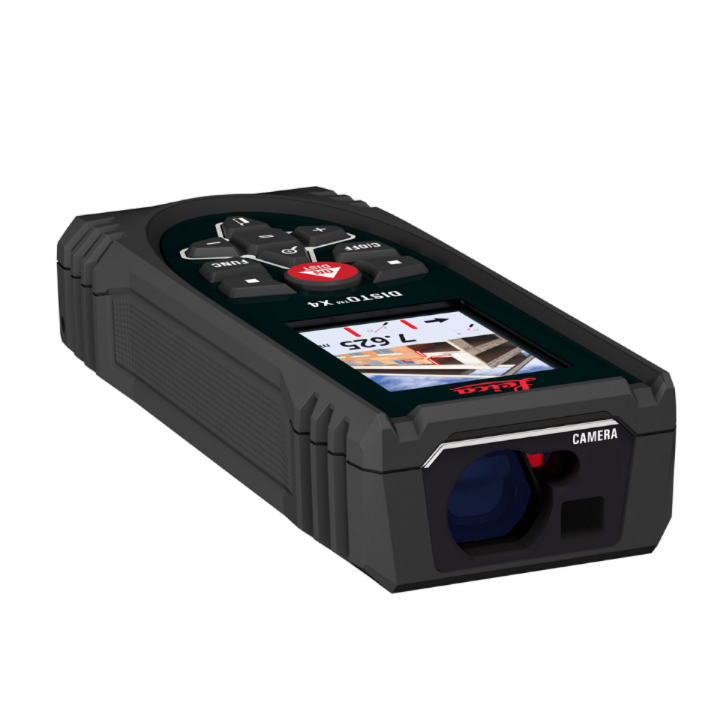 It is capable of up to four times zoom and has a two-inch display to show targets and measured values. The device’s casing and keypad are dust and water resistance with the IP 65 protection standards. This laser distance meter has a distance measuring accuracy of ± 1.0 millimeter at a range of 0.05 to 150 meters. Its measuring units are in meter, feet, and inches. The device utilizes the X-Range Power technology and a tilt sensor with an accuracy of ± 0.2 degrees. Its general data interface is the Bluetooth technology and has a wide compatibility that supports iOS, Android and Windows.